Let us begin with reassurance: even if some apps crash after you’ve upgraded your Mac to the latest OS Mojave, there is still a chance it’s a temporary problem. We can’t advise you to wait it out though, because there’s also a chance something went pretty wrong. That’s why in this article we’ll go over a bunch of reasons and solutions for your app crashing problem. We’ll review general app compatibility for Mac apps on macOS, because the good people of this world have already created a list of all the apps that work on this system and that don’t. If you find your problematic app on the list, you’ll know why it fails. We’ll see what could be the reasons apps don’t work and how to find out if they will. One of the reasons your app crashes could be that it’s incompatible with the new OS. What it means is that app developers haven’t updated it times to run with the new system requirements. If you don’t feel like looking through a nearly endless list of apps and just want to know if the majority of apps are ready for the new macOS, then yes, they are. Most popular apps are fully-functional on the new system. In case you have doubts, try looking into the About section and see when your app was last updated and to which version. What if I really need the incompatible apps? The easiest advice is — find a compatible alternative. For instance, you can have a huge collection of quality, High-Sierra-compatible apps for all kinds of Mac tasks on Setapp. It’s a subscription service that gives you 120 Mac apps for a single monthly fee. If you don’t like being nervous after every upgrade and enjoy running updated, compatible software, try Setapp. $10/month for a huge app collection and no more compatibility headache. An app crashes or doesn't open, what can I do? The first thing you need to do if you have an app that refuses to work properly is make sure it’s compatible. If your app is compatible but still crashes, there must be something else at work. In this case when you can’t click on About to see if it’s up to date, check developer’s website to see if you’re running the latest version. Sometimes apps quit unexpectedly and that is also a crash-like issue which you shouldn’t ignore, even if its occasional. Maybe your Mac doesn’t have enough processing power/memory to run it at full capacity. 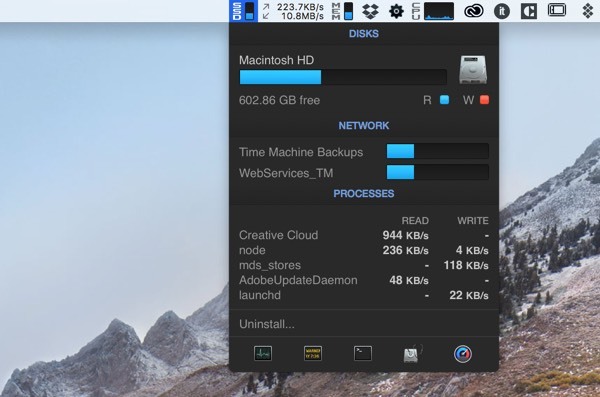 You can try checking how your Mac is doing in real-time while the app works with iStat Menus. Download the app and use it to monitor hardware indicators, CPU load and RAM usage. Check which apps take up the most resources and decide if you can quit/uninstall them. This app is probably features among your startup items — apps that start together with your Mac when you turn it on. If your Mac freezes or the app prevents other app from launching, try removing it from login items. To do it, open System Preferences > Users and Groups. Select your name and click “Login items” and remove the app in question. High Sierra has employed the new file system, named unimaginatively Apple File System. All your files on drives have been moved from the old HFS+ to the new one, including apps that weren’t in your Applications folder. In case the apps that crash are stored elsewhere on your Mac, like on your Desktop instead of the Applications folder and are installed there, they have been transformed into the new file system. And application files don’t do well with it, so if you’re launching your apps from Desktop folder or any other Finder folder (Apart from applications) it’s entirely expectable for it to crash. If you have the latest version and your app is compatible, there are a few things you can still do to try and fix the crashing. 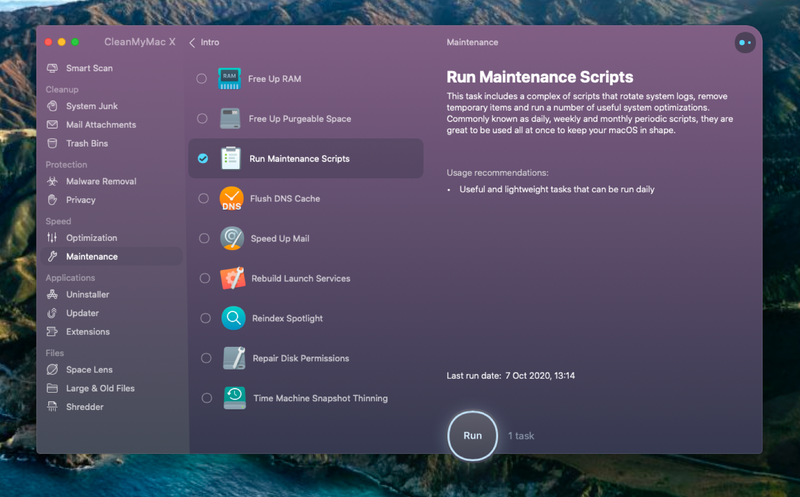 Get a Mac cleaning app like CleanMyMac X and run maintenance scripts. It’s a system-optimizing action that rearranges logs and removes temporary files which helps your new OS operate correctly. Use CleanMyMac to clean up your system and caches, which is another way of removing possible hindrances for software. Contact your app’s support team. Send a crash report, describe your situation and maybe there are some app-specific recommendations they can share with you. Look for an alternative. And, instead of buying new apps one by one, try Setapp subscription. You can simply type in what your app was for, like “email client” or “blogging”, and find a similar one. Setapp has 100+ applications for all possible tasks on Mac, and all of them are always compatible with the latest system. That’s about it concerning your options. We know having your favorite software unresponsive is frustrating but there’s really plenty of fish in the sea. If the app you loved is no longer supported on the new system, maybe it’s time to find a new, better one for the job. Also, if you decide to downgrade from High Sierra back to Sierra to use your favorite apps again, please be informed that it’s impossible at the moment. Apple has pulled down its Sierra installer, so the only system you can downgrade to is El Capitan. You can read here how to downgrade from macOS High Sierra. We hope this guide has been of help, we’ry trying to keep it up to date, so if you noticed inconsistencies, please make sure to tell us about them so we could fix it. Thanks and take care.